In late January, the Miami New Times broke the story of South Florida's Biogenesis anti-aging clinic, the shop that allegedly provided human growth hormone and other drugs to major leaguers. The press uncovered records linking lots of big names—Ryan Braun, Alex Rodriguez, Nelson Cruz—to Biogenesis's man in charge, Anthony Bosch. But no one had a sense then of whether the news'd change anything in MLB. The clinic's records were on the sloppy side; the players weren't facing any criminal charges; and MLB couldn't even get its hands on the evidence. But two months ago, MLB decided to buy the clinic's records from a former employee. And this week, according to T.J. Quinn, Mike Fish, and Pedro Gomez of Outside the Lines, MLB reached a deal with Bosch himself—whom the league had sued, in hopes of getting the documents, in late March. He'll spill, and the league will seek big, honking, vengeful suspensions against his alleged clients. 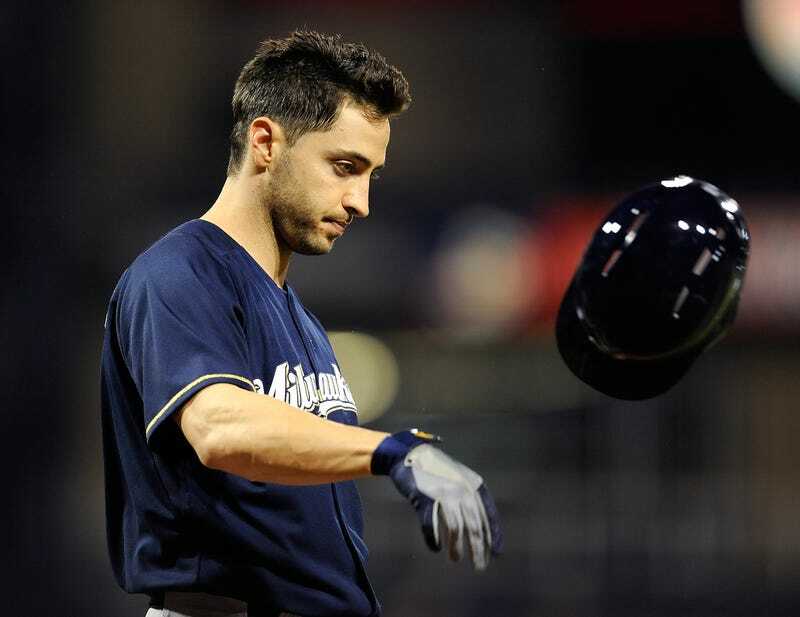 One source familiar with the case said the commissioner's office might seek 100-game suspensions for Rodriguez, Braun and other players, the penalty for a second doping offense. The argument, the source said, is the players' connection to Bosch constitutes one offense, and previous statements to MLB officials denying any such connection or the use of PEDs constitute another. Bosch and his attorneys did not return several calls. MLB officials refused to comment when reached Tuesday. The full list of players likely facing MLB's scythe, according to ESPN: Rodriguez, Braun, Cruz, Melky Cabrera, Bartolo Colon, Gio Gonzalez, Yasmani Grandal, Francisco Cervelli, Jesus Montero, Jhonny Peralta, Fernando Martinez, Everth Cabrera, Fautino de los Santos, Jordan Noberto, and Mets minor leaguer Cesar Puello. Bosch may add names to that list. So many suspensions! So much vengeance! Except: Does the procedural underpinning of the double-your-pleasure, double-your-fun suspension make sense? The league hates A-Rod, and it hates Braun, a star who wriggled his way out of drug trouble in 2012, even more. They're the white whales of this phase of the steroid era. But the league has to get those suspensions past a powerful players' union, one that presumably sees an unreasonable logical leap in the league equating a lie to investigators with a drug offense. And how tenable is the first layer of suspensions, even? The league has no biological evidence of players drugging themselves. Instead MLB has some scribbled records, and now it has, after striking a deal, the man who allegedly scribbled those records. The joint drug agreement covers players who have been convicted of possession of performance-enhancers, and those who have tested positive, but it has little to say about offenders who have been identified by a league investigation, let alone a half-assed, ethically bankrupt, scuzz-money-funded one. These suspensions, premised on flimsy evidence, are a long way from holding up. So far from holding up, indeed, that we have to ask: Is Bud Selig on freaking acid? Someone should look into that.